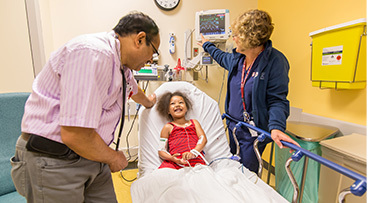 At the University of Chicago Medicine Comer Children's Hospital, the same specialists who provide heart care for our patients are actively researching new and better methods to evaluate and treat cardiac disorders. We also have dedicated researchers who are committed to furthering the understanding of pediatric heart conditions through basic and translational research. Whether it's clinical trials of new medications or laboratory research on the genetics of heart disease, our physician-scientists are at the forefront of heart research. 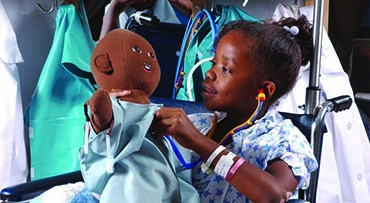 Many medicines, experimental devices and surgical techniques are available to our patients long before they're widely available at other hospitals. The leader of our pediatric cardiology program, Daniel H. Gruenstein, MD, has a strong interest in the development of minimally invasive devices. He has gained FDA approval for numerous devices and holds several provisional patents for his work. Dr. Gruenstein also is known for his work improving hybrid techniques. An active and accomplished researcher, Ivan Moskowitz, MD, PhD, studies the evolution of the cardiovascular system, including the genetic and developmental basis of congenital heart disease (CHD). His team recently identified several genetic mutations that contribute to CHD; they now are studying how these mutations affect the development of the heart (morphogenesis). 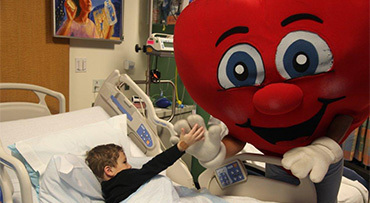 We combine our advancements in research with our understanding of the unique challenges facing children with heart disorders to improve diagnosis, treatment and outcomes for our patients.